The 36th Annual Pueblo Grande Museum Indian Market, hosted by the Pueblo Grande Museum Auxiliary, will be held at the Pueblo Grande Museum on December 8 and 9. The Market schedule will be Saturday, December 8 - 9:00 am to 5:00 pm and Sunday, December 9 - 9:00 am to 4:00 pm. This year's Market features top American Indian artists with paintings, sculpture, jewelry, baskets and much more! The weekend includes a variety of music and dance performances, artist demonstrations and traditional American Indian foods. Admission to the Market is only $5 and includes admission to the Museum with free admission for children under 12. This fundrasing event for the Museum Auxiliary helps to fund our exhibits, collections care, educational programming and special events. This years Featured Indian Market Artist is Kathryn Yauney and her piece titled "In the Beginning", a beautifully worked pin. In her unique way, Kathryn Yauney strives to maintain the traditions and history of the Plains Indians in her spirit masks, sculptures, talismans pins, pendants and medicine effigies. All of Kathryn’s pieces are handmade using natural South Dakota clay and mixed media. 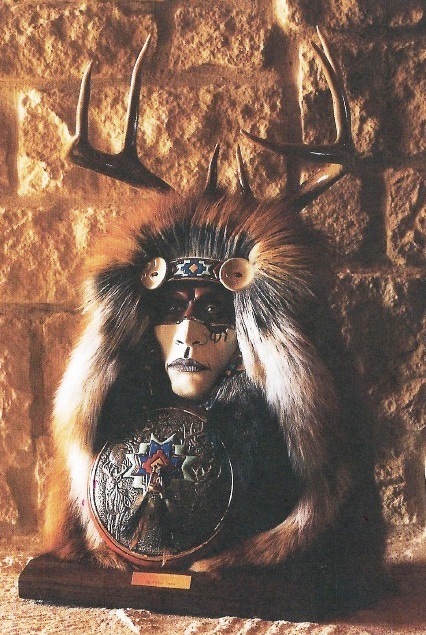 Spirit masks and sculptures feature beads combined with porcupine quills, antlers, horns and select furs to portray different aspects of Native American life. 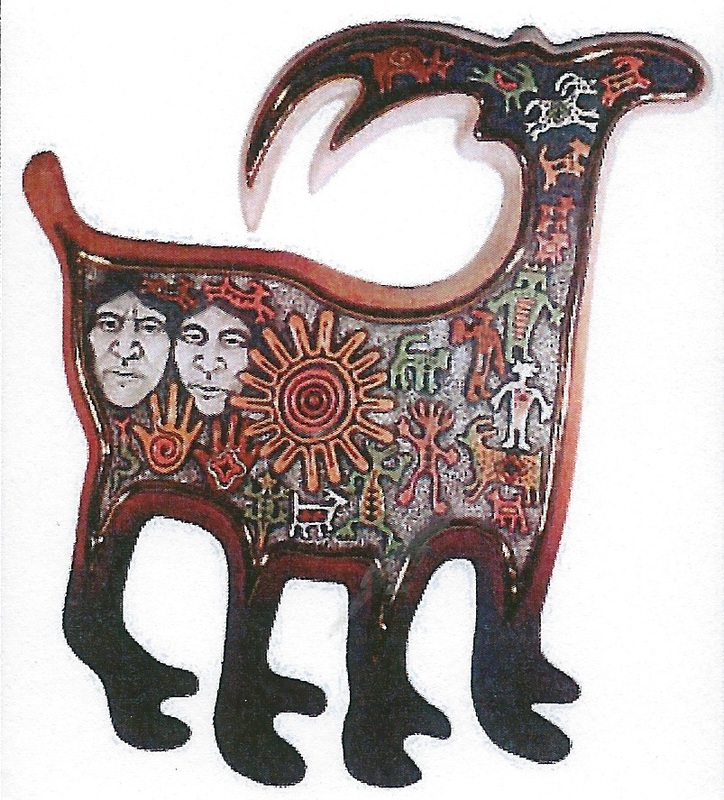 Sculptures are designed to be displayed in a mirror to show the “oneness” with nature that was the basis of Native American culture, and a history of each piece is accompanied by a certificate of authenticity. Kathryn is very influenced by Native American culture, drawn from her own Cherokee heritage and from nine years spent teaching on the Sioux Pine Ridge Reservation. She graduated from Nebraska’s Chadron State College with degrees in both Art and History. Her award-winning art may be seen in over 50 galleries throughout the USA and around the world. She is a proud member of the Cherokee Tribe and the IACA which strives to maintain the integrity and quality of Native American Art. Kathryn is a proud member of the Cherokee Nation and belongs to the Indian Arts and Crafts Association (IACA) which strives to maintain the integrity and quality of Native American Art. Hi, I am trying to get a value on a damaged mask by Kathryn Yauney. I tried her web site and it didn't load. Could you suggest any other way to find her?